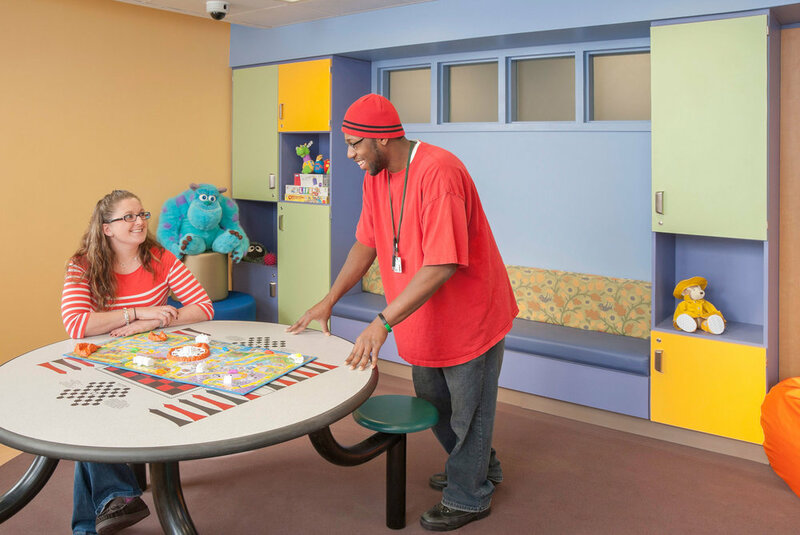 With minimal renovations made since original construction, our first charge was to take an existing inpatient unit and create a safe and healing environment for children that suffer from serious emotional and behavioral challenges. 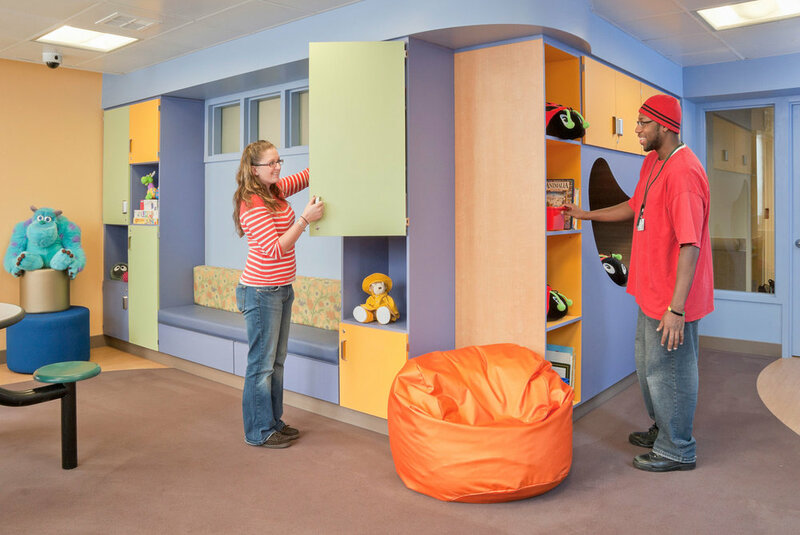 The new children’s inpatient floor includes private bedrooms, multi-sensory integration rooms, multi-use community rooms, low stimulation suite and quiet room as well as a dedicated family visiting space that is safe, comforting, healing and child-friendly. Part of the design team and in charge of overall interior design concept and detailing.